Some people think intermittent fasting is license to eat whatever you want during feeding times. But, the entire point of intermittent fasting is to eat fewer calories.Eat whole foods, avoid processed foods, and drink plenty of water. You can also follow other protocols such as paleo but you do need to eat plenty of carbs to last you during your fasting periods. Fruit – You can eat all the fruit you want to eat in its raw form. In some cases, even during fasting periods, you can eat some fruit to help you keep your energy up. If you’re eating, less during your fasting period instead of avoiding eating at all, fruit is a great low calorie substitute. Vegetables – Raw veggies can be eaten even during some fasting periods depending on the protocol you’re following. You can eat lightly steamed veggies any other time. The great thing about raw vegetables is that you can eat them even during your fasting stage if they’re uncooked and unadorned. Grains – Unless you’re gluten intolerant, you should eat plenty of grains. Your body needs the fiber and it will help with digestion. But, if you have a problem with wheat belly (swollen belly after eating wheat), or you have celiac disease then avoid it. Nuts & Seeds – It’s okay to eat nuts and seeds but don’t eat more than a handful at a time. Avoid binging on these items when you’re hungry. Eat your meal before eating any nuts and seeds or make them part of your meal such as a topping on yogurt or a salad. Healthy Fat – It’s great to add some healthy fats like coconut, avocado, banana, or any food that has natural fats that hasn’t been extracted such as oil. Oil is not really a health food. It’s okay to add a little to your food to make it taste good and fill you up; but, it’s not really healthy. Dairy or Substitutes – Don’t feel as if you have to eat dairy, but if you want to you can eat or drink dairy a cup or two a day. You can also feel comfortable using soymilk, nut milks, and yogurts to your hearts content. Protein – With each meal, balance them and eat some type of protein. You don’t have to eat meat if you prefer not to. If you eat a lot of plant-basedfood, you will get plenty of protein especially if you add in beans and tofu. Honestly, on an intermittent fasting diet you can eat whatever you want as long as it’s a healthy, whole food. You can even sometime have a cheat meal. However, don’t make the mistake of having a cheat meal when you’re super hungry. You’ll over eat, and that will cause you to ruin your progress. 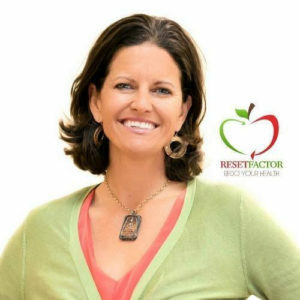 So when I first started hearing about studies proving that short periods of fasting could help people lose weight, reduce inflammation, and initiate a massive repair response in the body, I was skeptical. I have spent decades studying nutrition. I was a big fan of eat 6-8 meals a day, especially breakfast. But when enough research begins to prove a nutritional strategy is working, I want to try it. I first started with INTERMITTENT FASTING. Intermittent fasting is where you are eating all the food you want in a shorter period of time. I eat my meals between noon and 8pm, giving myself 16 hours of being in a fasted state. 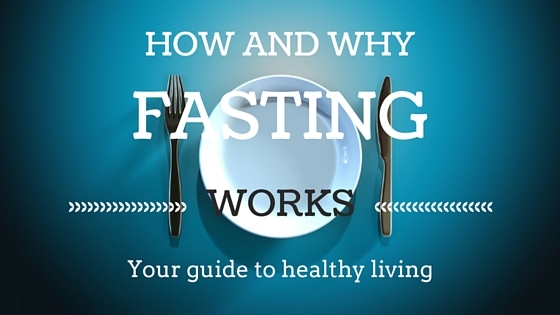 Research proves that 15-18 hours fasting provides the best health benefit. At first this was difficult. I love breakfast. So I started by taking a smoothie with me in the morning as I walked out the door. I tried to go as long as could not drinking the smoothie. At first I could only make it till 10am (12 hours of fasting). But as I applied intermittent fasting to my health habits everyday, I noticed that I could go longer and longer periods without food. I then tried a ONE DAY BONE BROTH FAST. If you haven’t noticed, bone broth is all the rage right now. And with good reason. Bone broth has nutrients in it that can heal a leaky gut and help give key nutrients to the liver. It also is easy to make. After I had incorporated intermittent fasting into my life, going longer periods without food was becoming easier. The made bone broth fasting quiet easy. The first step to a daily bone broth fast I tried was going to dinner to dinner without eating anything but bone broth. What that means is that you have a healthy dinner one night, drink only bone broth during the next day, followed by a healthy dinner the next night. That allows you to go 24 hours with out food. Once you have mastered that you go sunrise to sunset with only bone broth, no food. The results I experienced were profound. I do this every week. I pick one fasting day. What I have noticed is that the days I fast, I have greater mental clarity and more energy. The days after the fast I have very little hunger. In fact, my hunger and cravings have gone completely away since I introduced these fasting strategies into my life. So much so that I often have to remind myself to eat. So what are the studies saying that fasting does to your body? Why are so many people trying these fasting techniques out? If you haven’t tried fasting. I highly recommend it. Start by intermittent fasting daily. Try to go 15 hours without food. You may only go 13 hours to start, but with repetition your body will get more and more used to fasting and will comfortably go 15 hours. Or reach out to my office at 408-298-8092 and my staff will walk you through my adrenal repair protocol. Happy fasting!!! I would love to hear how you are do with these fasting tools. Shoot me an email and give me an update when you try them out.